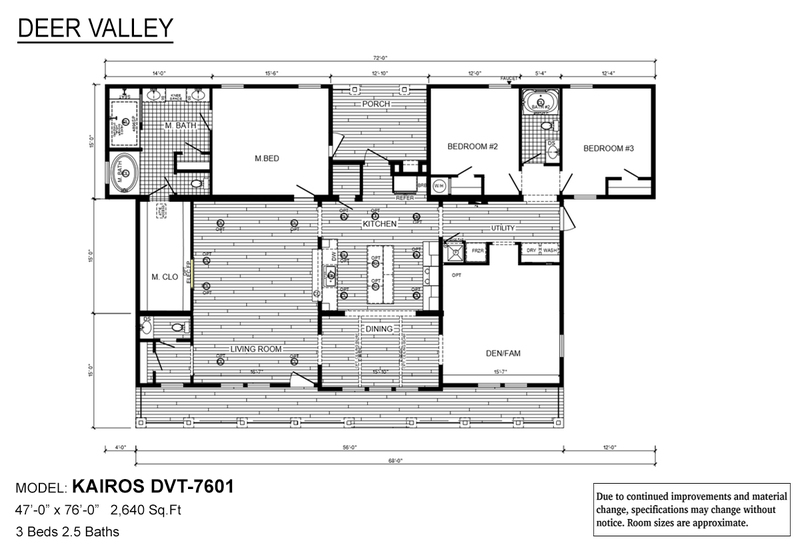 The Zemira WL-6808 Beautifully crafted family home features expansive living room open to large modern chef style kitchen with extra large island work station/serving/snack bar, walk-in pantry, plentiful handcrafted wood grain cabinets and seemingly endless countertop space, family sized adjoining dining room, master bedroom suite will be a bastion of tranquility boasting elegant ensuite with “his” and “hers” walk-in closets, large comforting soaking tub, oversized shower w/seat, privacy toilet location and dual sink vanities. 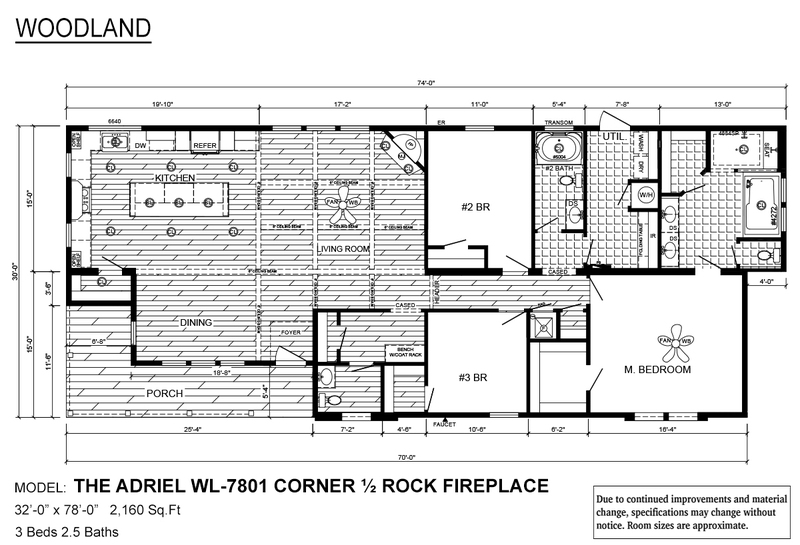 The Adriel WL-7801 Corner ½ Rock Fireplace Skillfully designed and engineered large estate style home features fully integrated covered wrap around porch providing exterior elevation style and indoor/outdoor casual dining and relaxation, spacious living room opens to large bright well equipped kitchen with massive center island, ideal for entertaining, adjoining family sized dining room overlooks covered porch, luxurious master bedroom suite with two walk-in closets, luxurious ensuite with soaking tub and large separate shower, king size guest bedrooms and roomy second bath and well located guest half-bath. 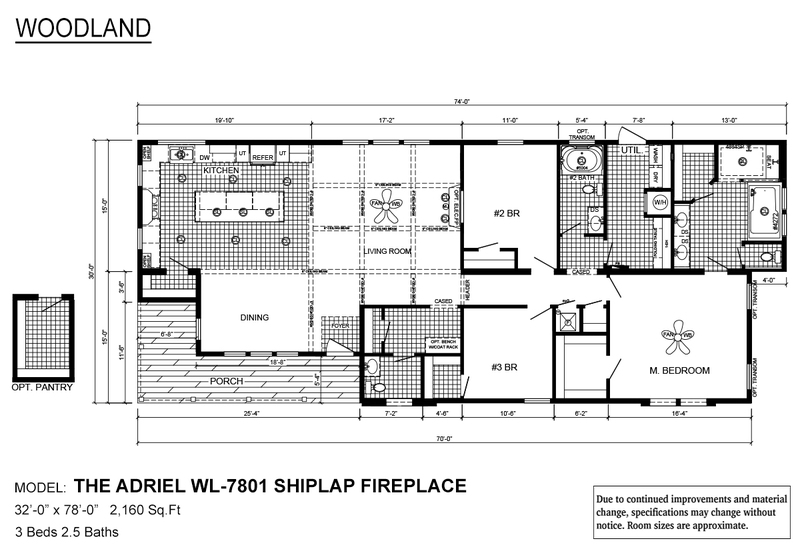 The Adriel WL-7801 Shiplap Fireplace Skillfully designed and engineered large estate style home features fully integrated covered wrap around porch providing exterior elevation style and indoor/outdoor casual dining and relaxation, spacious living room opens to large bright well equipped kitchen with massive center island, ideal for entertaining, adjoining family sized dining room overlooks covered porch, luxurious master bedroom suite with two walk-in closets, luxurious ensuite with soaking tub and large separate shower, king size guest bedrooms and roomy second bath and well located guest half-bath. 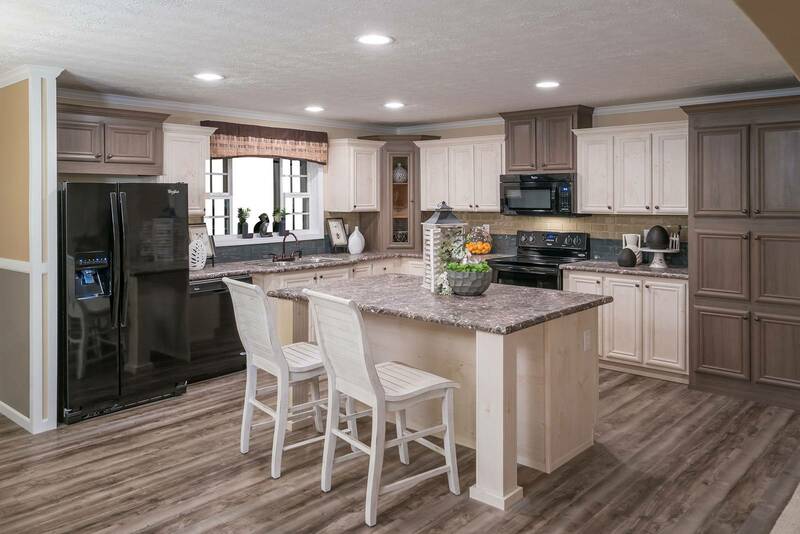 Unique and stylish offset floor plan features covered porch entry to large living room, bright modern center kitchen with access to rear covered porch, ideal for outdoor/indoor casual dining and relaxation. 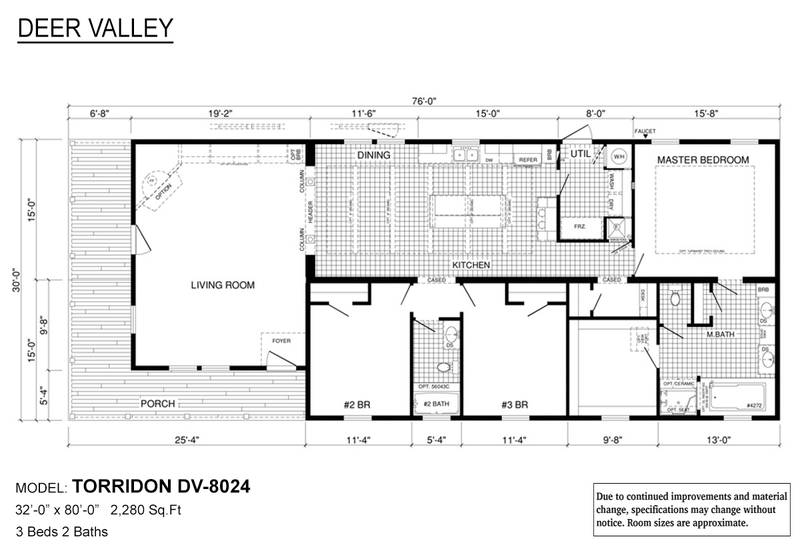 Lots of windows allows natural light to bathe entire primary living areas of home. 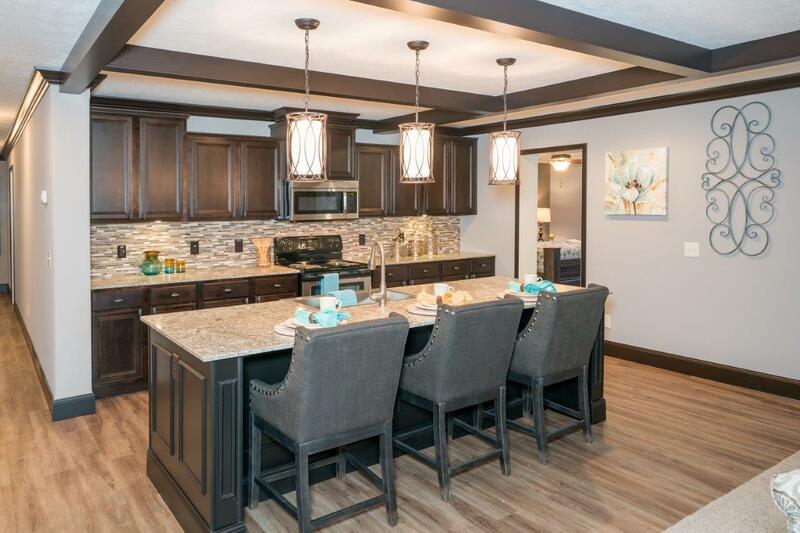 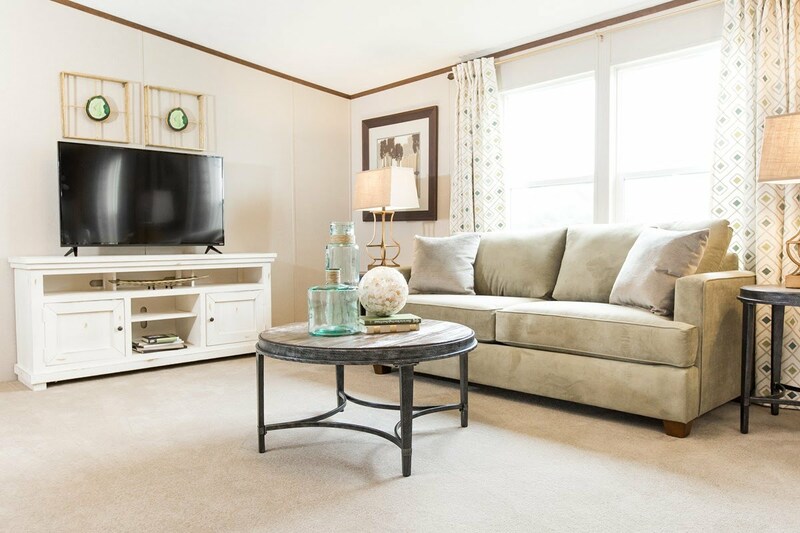 The Avonlea WL-8031 showcases the very best that Deer Valley Homebuilders has to offer - a beautiful, modern manufactured home that brings “Heavy Built Homes” to a whole new level. 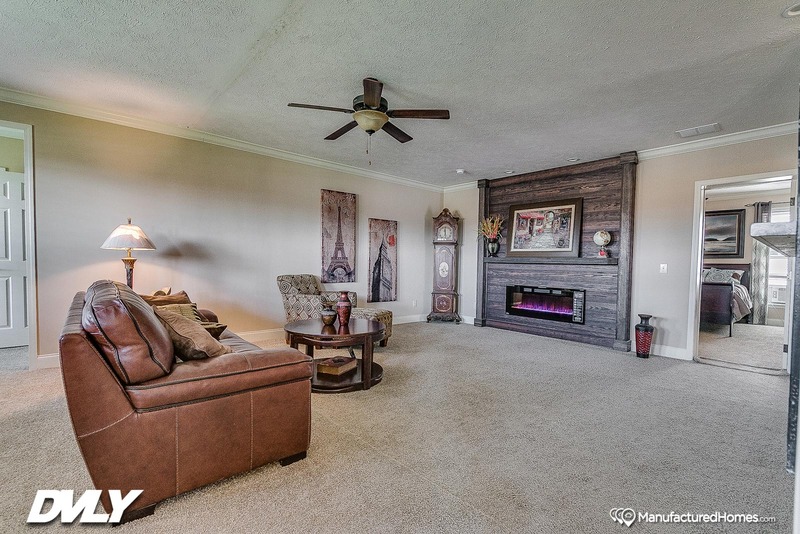 This extra-large home features a spacious living room open to a beautiful, modern, well-equipped kitchen with sprawling countertops and bar, and a large family room to congregate in. 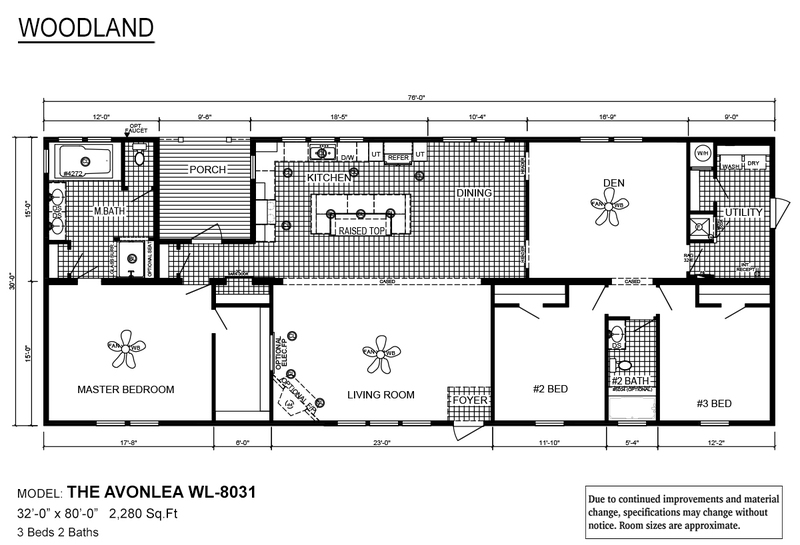 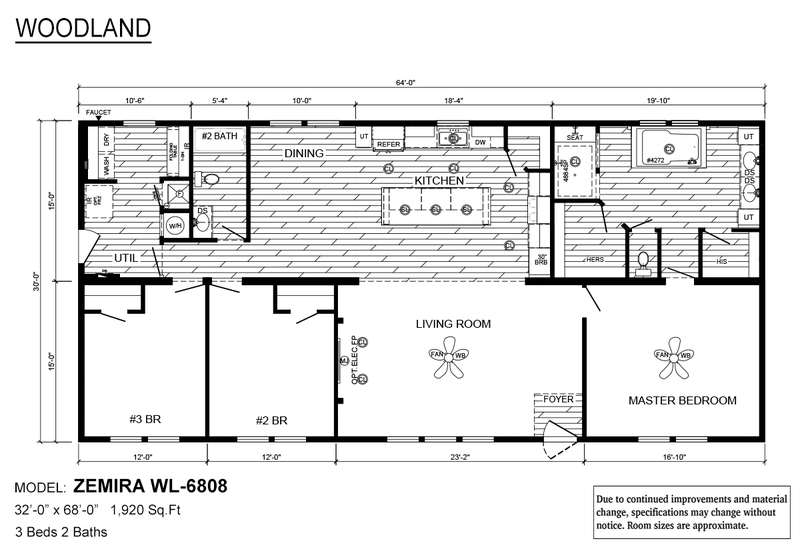 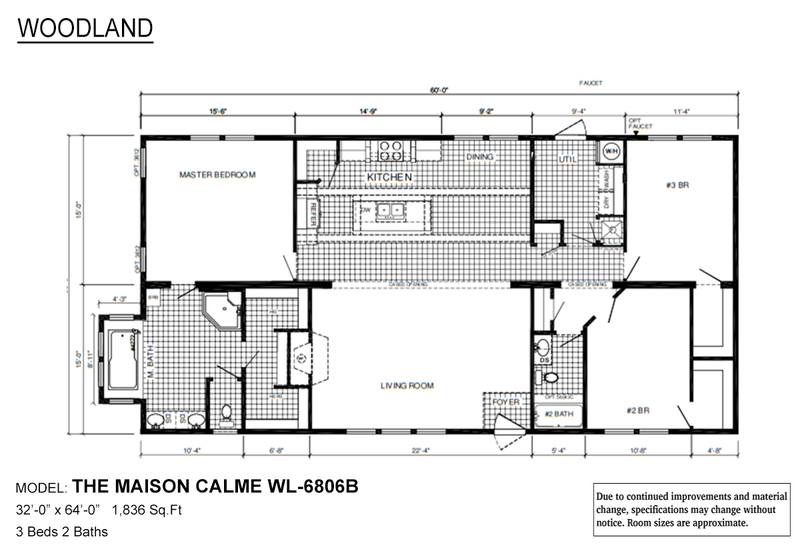 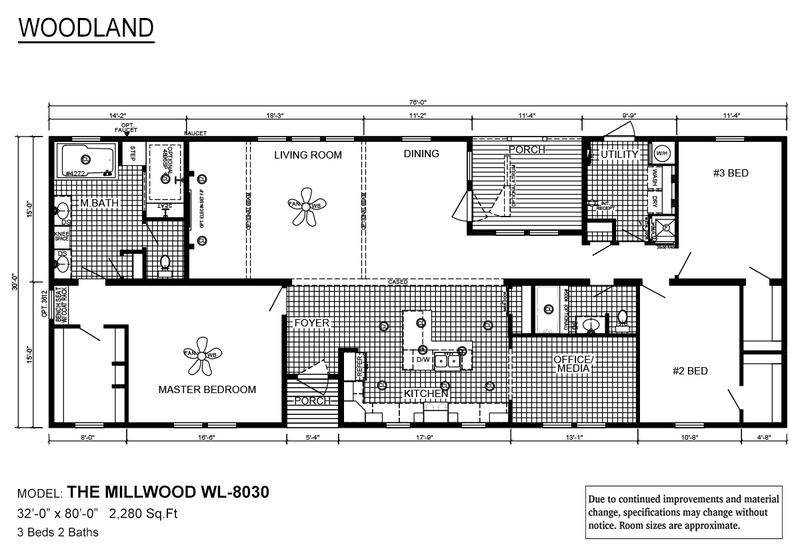 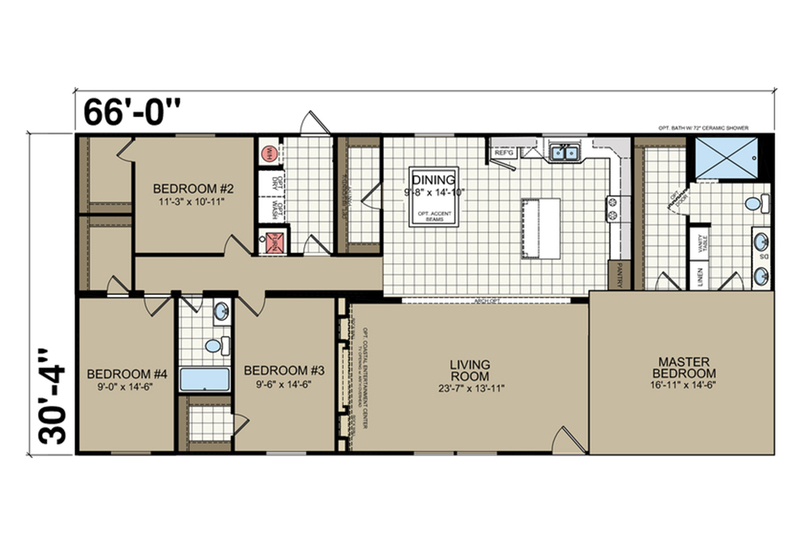 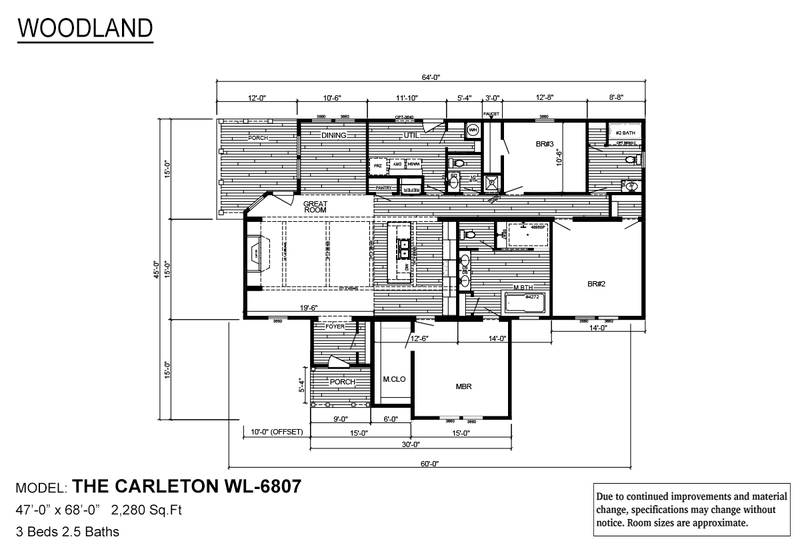 The Avonlea WL-8031 also offers a privately located master bedroom with glamour bath boasting an elongated soaking tub, large, separate walk-in shower, and “his” and “hers” sinks, as well as an abundance of closet and storage capacity throughout. 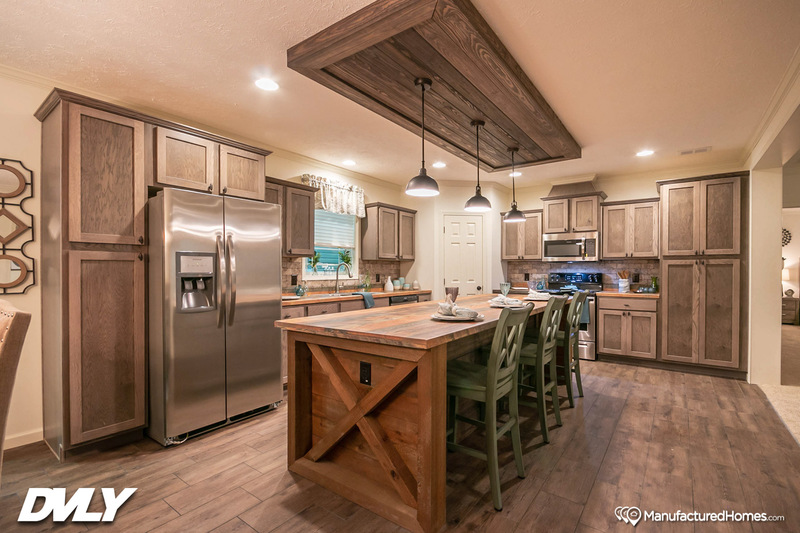 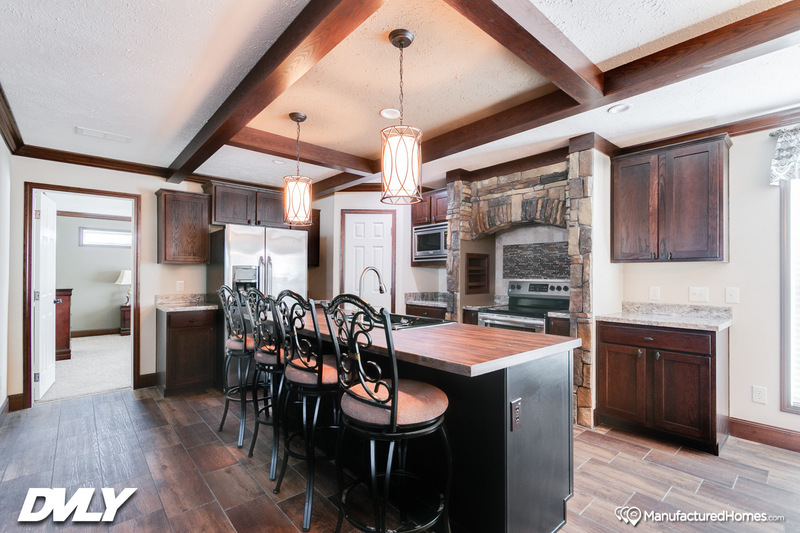 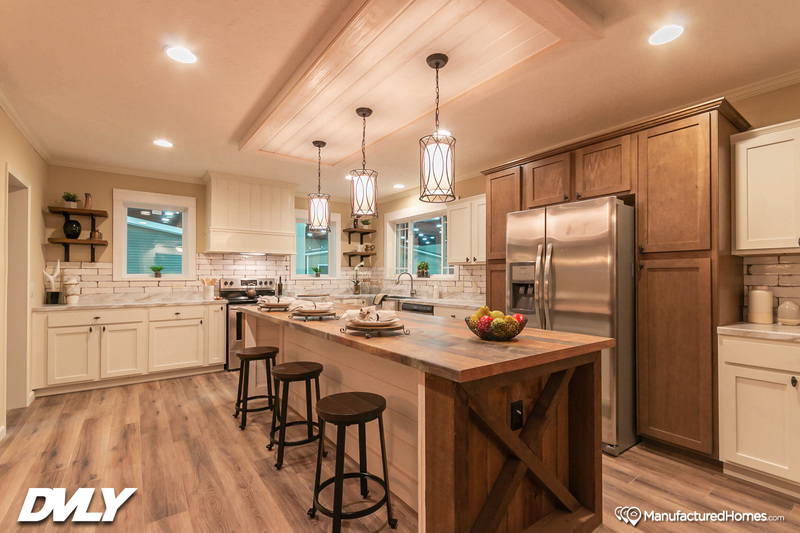 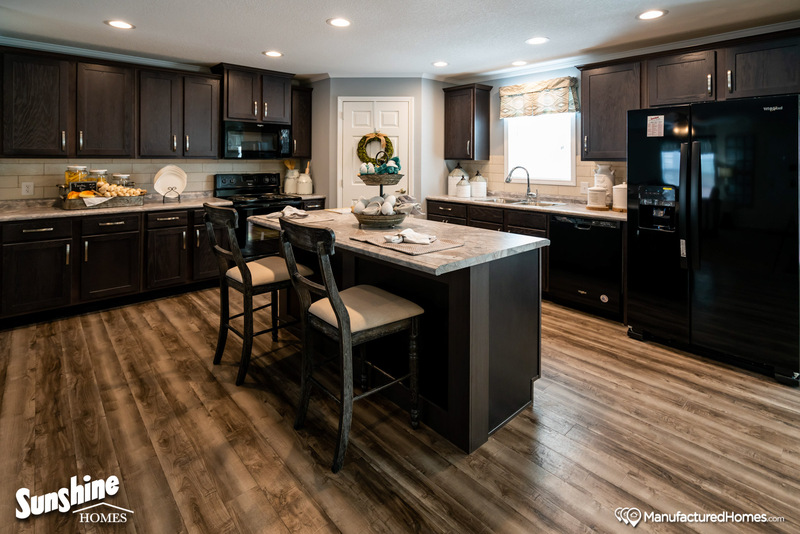 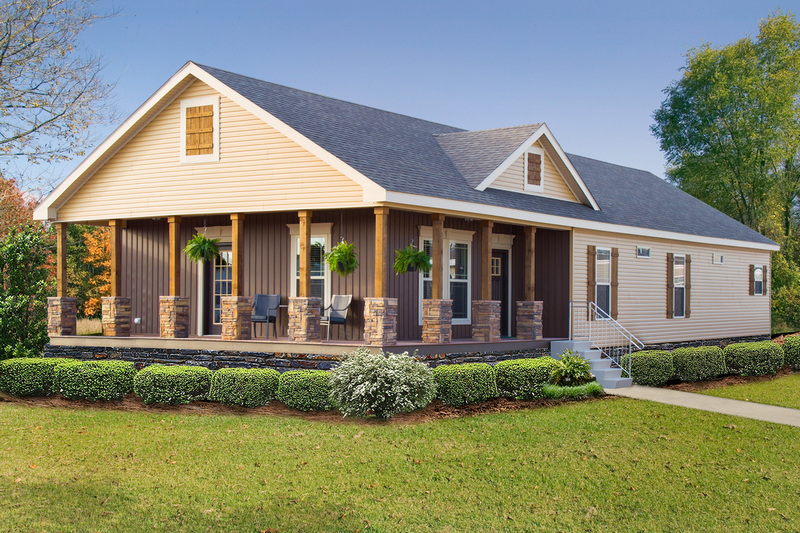 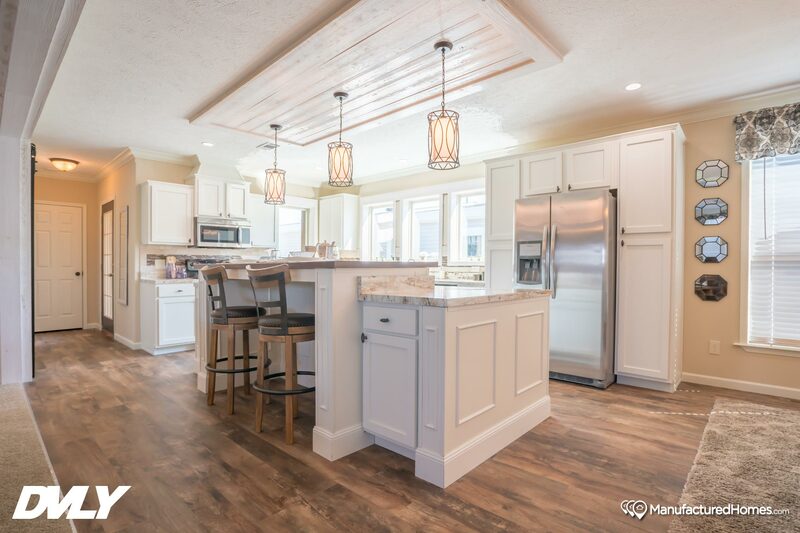 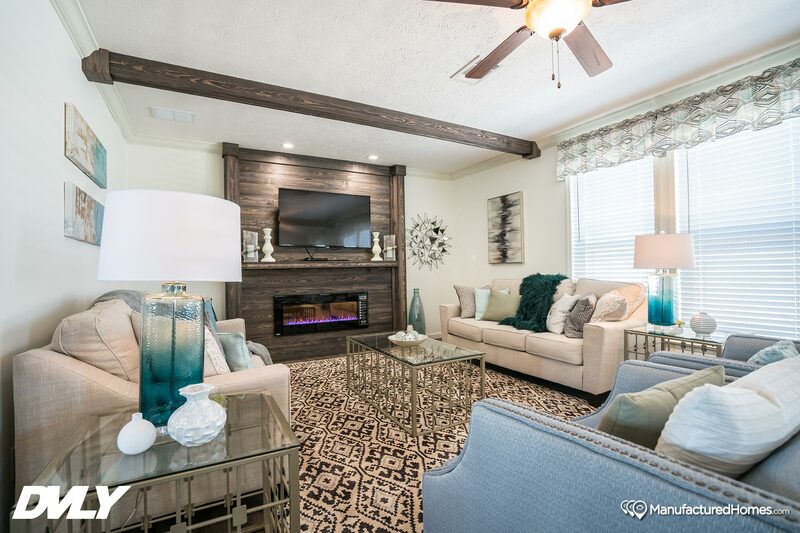 The Millwood WL-8030 showcases the very best that Deer Valley Homebuilders has to offer — a beautiful, modern manufactured home that brings “Heavy Built Homes” to a whole new level. 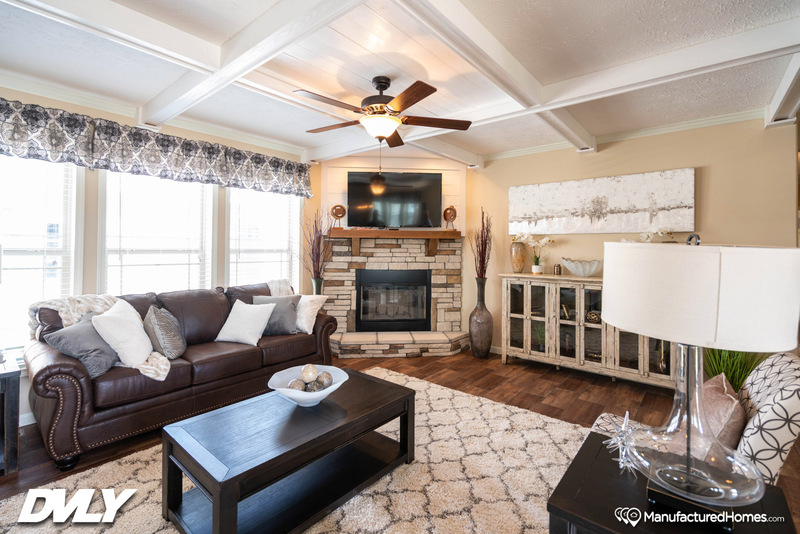 This gorgeous home features a spacious living room with lots of windows allowing natural light to permeate the entire area, and an adjoining, covered porch ideal for indoor/outdoor casual dining and relaxation.